​Heat the oven (with the oven rack in the middle) to 425°F. 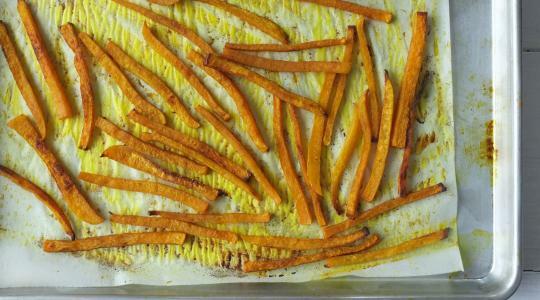 Line a rimmed sheet pan with parchment paper. 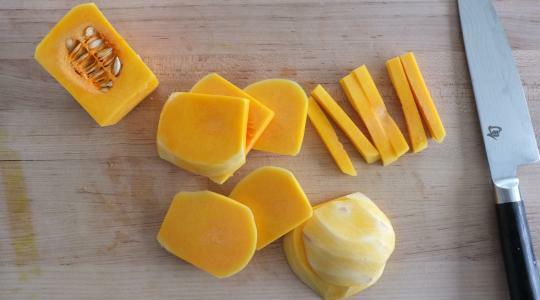 Place the squash on its side on a cutting board. 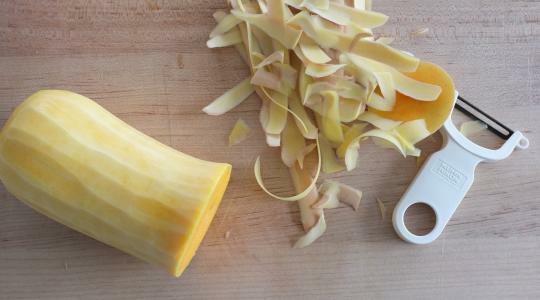 Cut the squash crosswise to separate the neck from the bulb end. Trim the stem and the bottom ends. Use a vegetable peeler to remove the tough skin from both pieces. 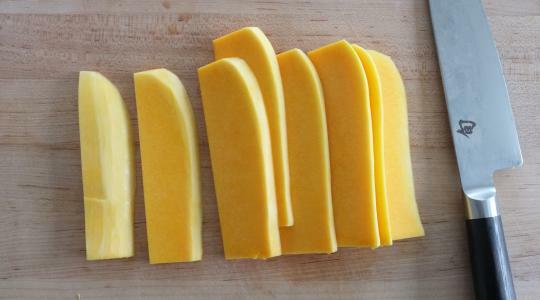 For the neck of the squash, first cut it in half lengthwise, then slice it lengthwise into ¼-inch thick slabs. 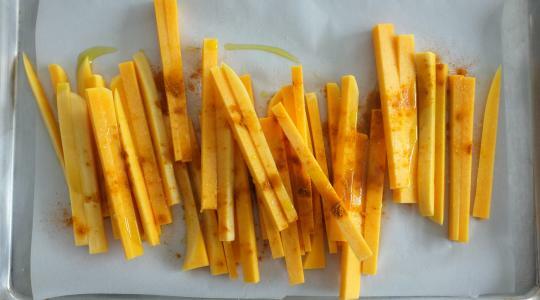 Cut the slabs into thin fries. 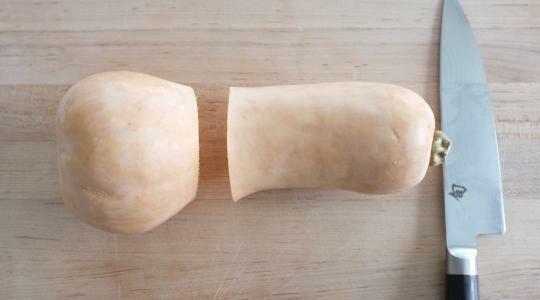 For the bulb part of the squash, slice off ¼-inch thick slabs, stopping short of the seeds. 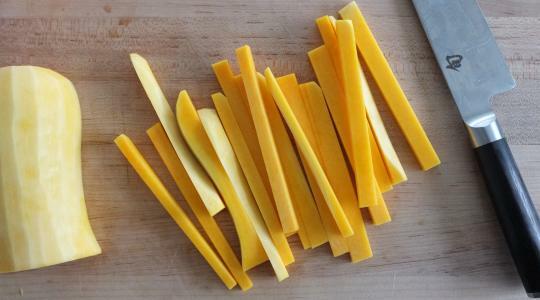 Slice the slabs into fries. Put the fries on the prepared pan and drizzle with oil. Sprinkle with the turmeric and salt. Toss to coat then spread in a single layer. Roast until tender and golden brown, 40 to 45 minutes. Serve sprinkled with parsley.